It’s hard to believe, but black cats are overlooked because of their colour! In some countries black cats are seen as lucky, but in the main it seems they are rejected on a superstitious basis; that they are somehow unlucky or a ‘witches cat’. Added to that, black cats can be difficult to photograph so their pictures never do them justice. We know black cats are just as wonderful as any other, with exactly the same needs – to be loved and cared for. 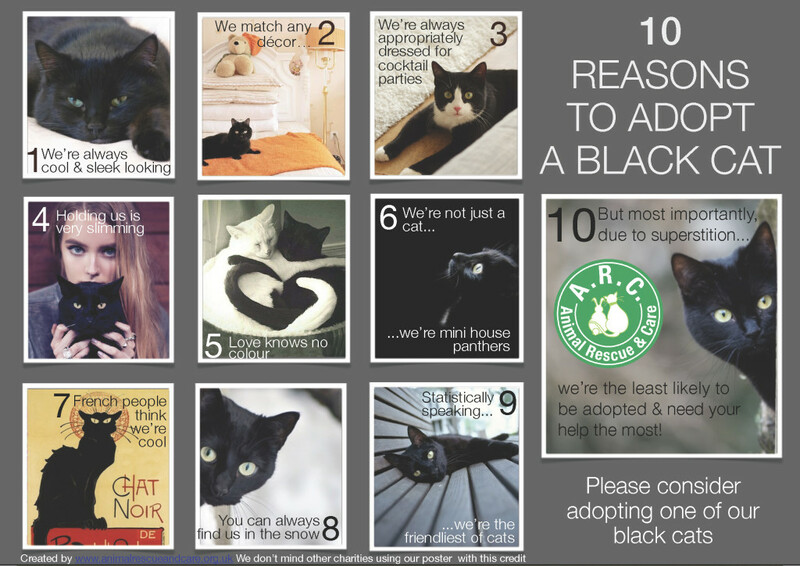 If you enjoy the company of cats whatever their colour, please consider adopting a black cat. Search all our cats and kittens looking forever homes.